Okay, so I'm pretty sure that everyone is getting tired of me working my way through this series. 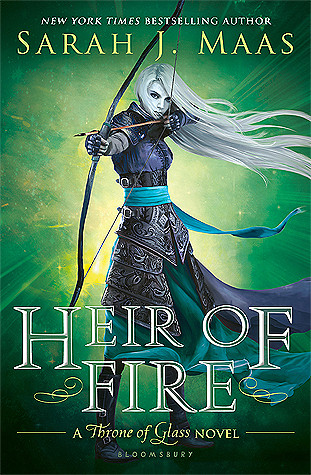 I've only been reviewing the Throne of Glass books recently, and I have to admit, it's getting more and more difficult to review each book simply because they are all quite similar. 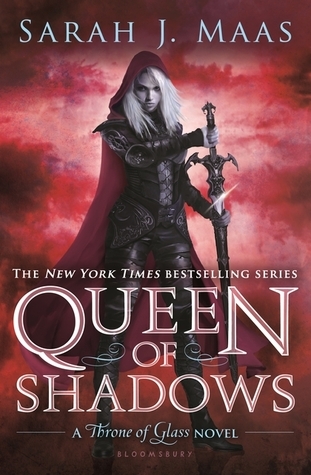 However, I can happily admit that I found Queen of Shadows to be the best book in the series yet. For some reason, I was struck by the immense similarities between this fourth installment and the Lord of the Rings Trilogy. The epic struggle against a supernatural evil, the need to destroy powerful items of jewelry, and of course, the lovable cast of underdogs fighting against a far superior enemy.... It all struck me as very Tolkien. In my eyes, this isn't a bad thing, mostly because I adore the Lord of the Rings Trilogy. It's as though Maas took the overall feel of Lord of the Rings and transferred it to a new, more modern YA adaptation. The characters truly make the story, as is the case with most of Maas' novels. Aelin, Rowan, Chaol, Aedion, and the other fierce personalities bring the plot to life and have earned Maas a loyal fandom over the past few years. There's a reason so much fan art and merchandise for the series exists: everyone loves the characters. They've grown since the first book or two, and I'm impressed by the character development Maas has interweaved with the thickening plot. So, why not give Queen of Shadows five stars if I love Maas' writing and I thought this was the best installment yet? I don't know. I'm sorry, but that's the truth. I feel like Maas is still holding back a little, like there's some untapped potential that I think she can find. Perhaps Empire of Storms will finally coax me into awarding this series a five star rating. What do you guys think? Which book in the series is your favorite? I can't be the only one who thinks that, right? Either way, they are both total badasses.